I am Reader (if you are in the United States or Canada that’s something like associate professor) Management at the School of Management of the University of St Andrews , in Scotland. I’m fascinated by markets and organizing, and all the questions of ethics and politics that go alongside. Like many academics, I’m keen to communicate my knowledge and enthusiasm for what I think is an incredibly important area of research, and that has led me to writing for the general public. On my home page you’ll find a scrapbook: occasional opinion pieces, reviews, speeches and broadcast work – as well as a miscellany of comments and reviews on my own work. 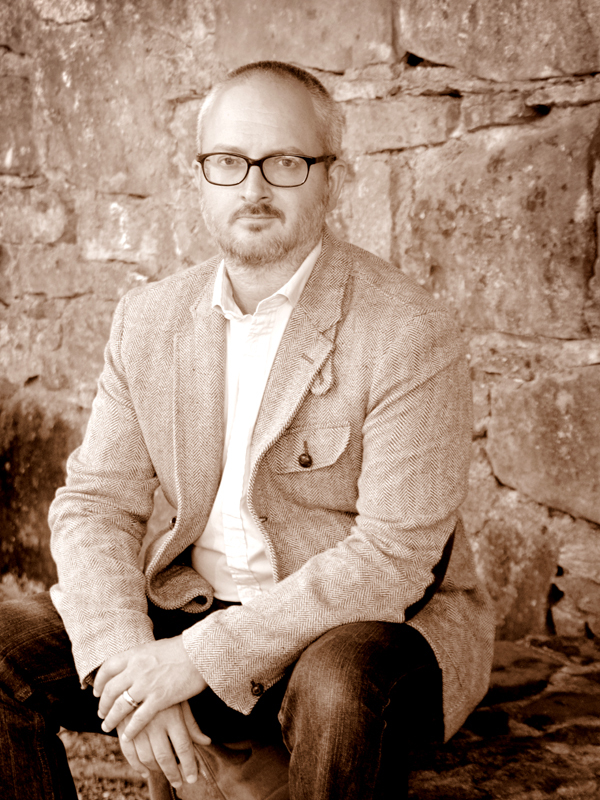 I have an unusual academic background: I hold a PhD in management from Lancaster University, an MPhil in medieval Arabic thought from the University of Oxford, and a BA in theology from the University of Leeds. My Masters dissertation was a translation and edition of a mediaeval Arabic text on Providence, a far cry from the research I do now! There’s more on my academic work here. Between studies (in my adventurous twenties) I worked as a financial journalist and tried my hand at running a small business. While I wasn’t much of a business genius, working in London’s smaller quoted company markets got me interested in the investors who were funding these ventures, which led directly to my Ph.D. at Lancaster. I also realised just how hard good business is, a lesson that I haven’t forgotten: much of my teaching is about how, or what, good business might be. Late in 2010 the Arts and Humanities Research Council, together with BBC Radio 3, advertised a new scheme, bravely titled ‘New Generation Thinkers’. I applied, alongside more than 1,000 others; 50 of us attended selection workshops, and in June 2011 I was one of the ten winners of the inaugural AHRC BBC Radio 3 ‘New Generation Thinkers’. 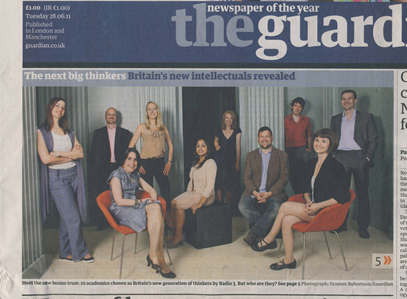 The Guardian printed our photograph on its front page: I’m the short one put well out of the way at the back. I live in Fife, near St Andrews. I am married to Jane, and we have three sons. When I’m not working, I like pottering in the garden (as much as Fife allows), the kitchen (I’m not a bad brewer either), and the occasional minor building project.